First of all, cut the buttercup squash into slices and peel them, then reduce the slices into pieces. 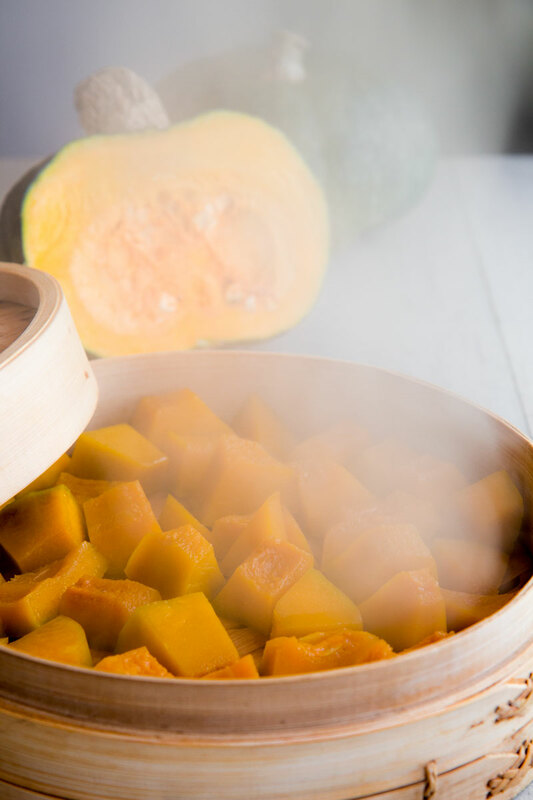 After that, steam the squash until tender but not overcooked (about 8 minutes). Alternatively, boil the squash. Now, place the butter, very cold, in a bowl. Press the potatoes, still scorching, with a potato ricer pouring them directly over the butter. Stir well until consistent adding salt as needed. 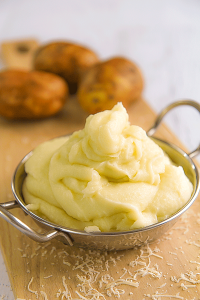 If you have not a potato ricer, mash the squash on a cutting board, then combine with the butter. At this point, if you are preparing the pumpkin puree in advance, store the bowl covered in the fridge until ready to finish. Otherwise, proceed to the next step. Now, melt the blue cheese along with the milk in a small pot over low heat, and stir until smooth and consistent. After that, sift the cheese sauce through a strainer to eliminate the mold and combine with the squash puree and 1 dash of white pepper. Finally, reheat the puree over low heat stirring continuously, and serve. 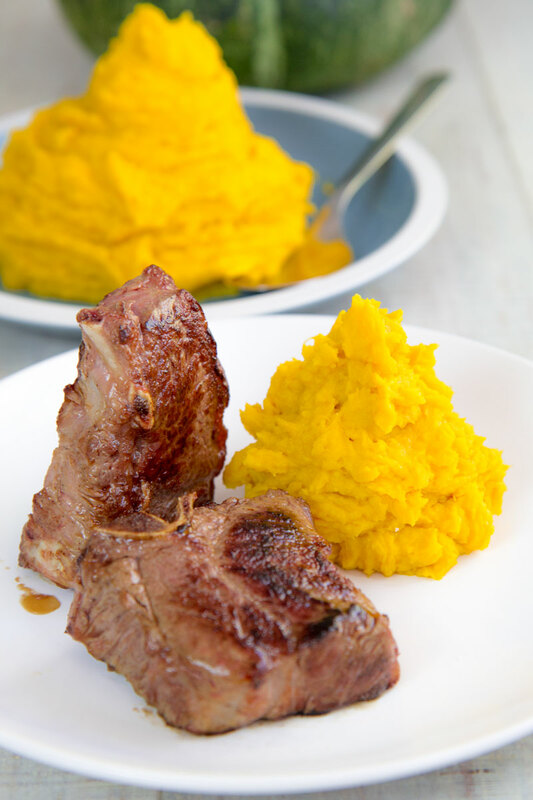 If you prefer a more dense or fluid puree, just modify the milk amount. 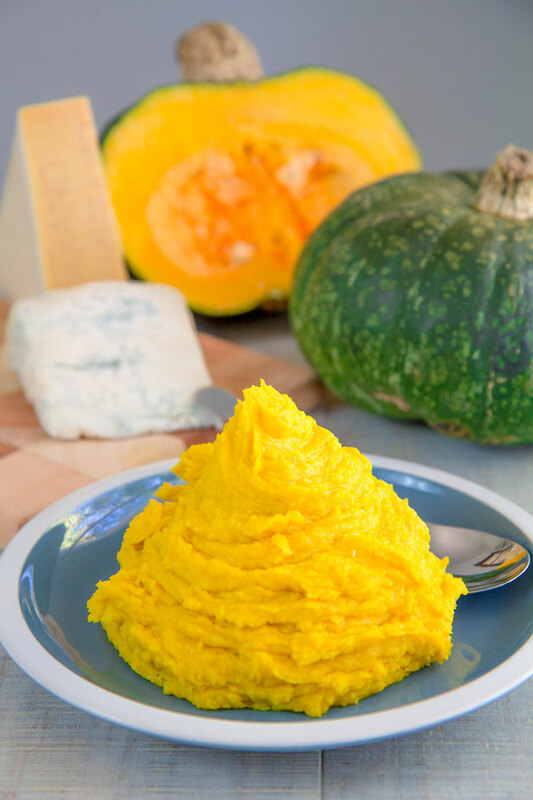 I love preparing this buttercup squash "pumpkin" puree for my family and friends for Thanksgiving or Christmas, or New Year's eve! 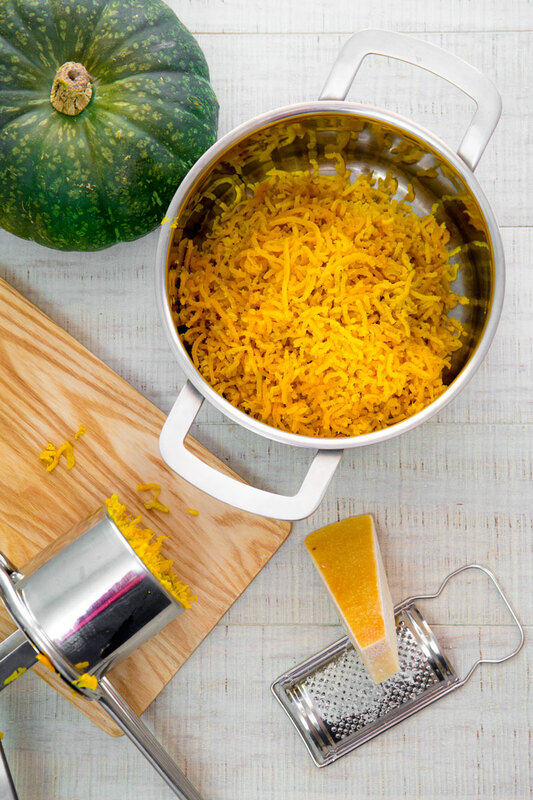 The mild sweetness of the squash is perfectly balanced by the taste of the blue cheese. I particularly like using Gorgonzola, but any semi-soft blue cheese fits good: the only critical thing is the cheese have to easy to melt along with the milk. made this as the thanksgiving dinner contribution. Big hit!